Today I want to show you the card I made for the Cute Card Thursday (yes thursday!!!! ahhhh) challenge of this week. The theme is "Mirror, mirror - use something shiny". I used some silver brads and a lovely heart charm I received from my friend Rach (Thanks honey :) Sorry that I didn't come up with something more creative ...haha, but somehow my brain is empty after the exhausting week. 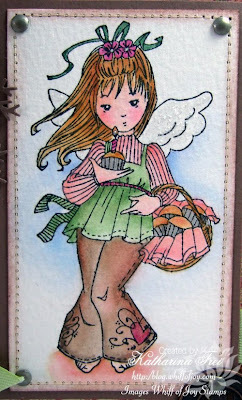 This Whiff of Joy stamp designed by the fabulous Elisabeth Bell is called Melinda with muffin basket. Can you imagine that I haven't used her before?! Shame on me - How could I forget?? She is so adorable :) I used some brand new K&Company paper, which I got at the stamping fair in Stuttgart last week. It is soooo beautiful. I did the border with a Fiskars border punch, which I also bought there. Diese Whiff of Joy Motiv, designed von der wunderbaren Elisabeth Bell heißt Melinda mit Muffinkorb. Könnt ihr euch vorstellen, dass ich es noch nie verwendet habe?? Schande über mich - Wie konnte ich nur auf sie vergessen?? Sie ist doch so hübsch :) Ich habe das neue K& Company Papier verwendet, dass ich mir auf der Stempelmesse in Stuttgart geleistet habe, und ausserdem einen Fiskars Border Stanzer, den ich ebenfalls dort gekauf habe. Die kleinen Papierrosen habe ich von meinen lieben Freundinnen Camilla und Jacqui bekommen. Ich danke euch sehr! Ich konnte sie auf der Stempelmesse nicht bekommen und war sehr enttäuscht, deswegen habe ich mich über die Post von den beiden besonders gefreut. Thanks for stopping by, I hope you'll enjoy the weekend! Danke für euren Besuch! Genießt das Wochenende! Gorgeous!!! Very pretty papers and embellishments.Your colouring of Melinda is beautiful! it looks lovely, and no you don't have to overdo yourself every time! Ohhh wowww Katharina,whata beautiful card,l love the stamp,and colours. Hi Katharina beautiful card and just love this image. Auch wenn deine Zeit knapp ist, diese Karte ist wieder sehr schön geworden!!! Und so viele liebe Kleinigkeiten die man bewundern kann!!! what a beautiful card! 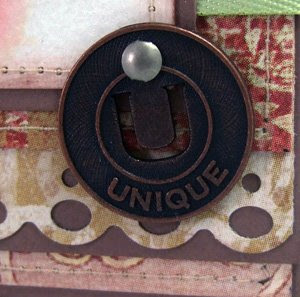 I absolutely love it......and that is a beautiful stamped image. Love the colors you used and the overall design. Great JOB! This is a beautiful card! I love your coloring and the wonderful embellishments. I know how you feel about being behind! I am planning a surprise birthday party for my husband's 40th birthday...really hard to do with him around...and host a baby shower...which I have to make 30 invitations for!! On top of that, we are moving! Very busy month. This is a stunning card Katharina! Love it!! this is an absolutely gorgeous card...the colroing is just fantastic and the details all wonderful..
this is beyond beautiful..its magnificent..TFS! Wonderful card, love the warm colors and the great details!!! I looove those small roses! Great coloring and Melinda is just adorable!!! 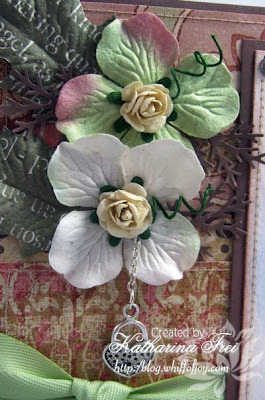 Beautifull card, love the embellishments you used, great coloring and nice papers. Beautiful card Katharina with wonderful embellies. I have really enjoyed being GD for the last 2 weeks on CCT - thanks for having me! Melinda looks brilliant and the flowers are lovely. Great new punch gives a lovely border.